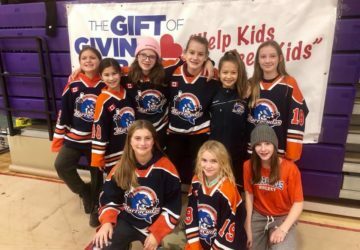 Originally launched by the Burlington Eagles, the campaign has grown to include more than 85 male and female youth hockey teams from: The Burlington Girls Hockey Club (Barracudas), Burlington Cougars and the Burlington Eagles. 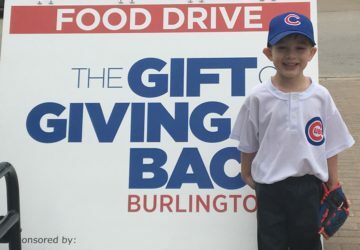 In 2017 we were pleased to announce that baseball teams from Burlington Organized Minor Baseball Association (BOMBA) were joining us in our cause. 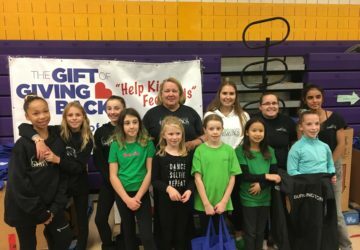 Further into 2018, we welcomed a new partnership with the Burlington Gymnastics Club. Participants with their parents and community leaders, amount to more than 3,500 volunteers who make this all possible. 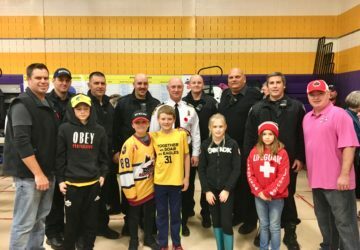 We have developed a strong relationship over the years with the Burlington Fire Department as well as the Burlington Professional Firefighters Association. 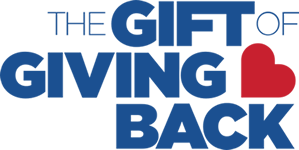 The Gift of Giving Back is proud to have Fire Chief Dave Lazenby as our Honorary Chair. 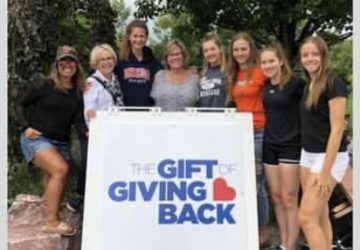 Burlington Eagles, Burlington Barracudas, and the Burlington Gymnastic Club.